Engagement Rings – What’s Your Style? You may own hundreds of pieces of jewelry in your lifetime, but few will hold as much value as your engagement ring. Trends come and go, but your ring should forever be your favorite jewel. If you’re on the hunt for an engagement ring, your choice says a lot about your style. As the saying goes, diamonds are a girl’s best friend, and it’s easy to see why they are a best-seller. The sparkle and clarity of your diamond ring will lift even the dullest of days. If you’ve decided to choose your own ring, it’s important to consider a number of factors. When looking for the perfect diamond ring, look out for the cut, clarity and carat. Visit some jewelers or look online for ideas and inspiration. The style of diamond rings varies wildly and you can choose from different sizes, shapes and settings. You may also wish to think about the band. Would you prefer gold, white gold or platinum? Are you looking for something chic and modern or a vintage gem? The best thing to do is try some rings on. Ultimately, go for the one that gives you butterflies. Research suggests that more than three-quarters of women have a diamond engagement ring. But there’s nothing wrong with opting for something different. Ruby rings are an ideal choice for anyone who likes to make bold fashion statements or channel vintage glamor in their daily wardrobe. Rubies look beautiful with yellow gold and they’re guaranteed to be a showstopper. Go for a small stone if you have petite hands. Large stones and thick bands can be overpowering. Sapphires enjoyed a resurgence after the engagement of Prince William and the Duchess of Cambridge. Photographs of the stunning, opulent jewel were seen by millions of people all over the world. Sapphires come in a broad spectrum of shades and shapes. Lighter hues look stunning with silver, white gold or platinum bands. Darker shades complement gold bands perfectly. Choose a single stone and a simple band for an understated look. Or go for a large stone surrounded by tiny diamonds for an old-fashioned, vintage look. Emeralds are a classic choice for fans of retro styles. If you’re inspired by looks in eras gone by, an emerald may be the choice for you. You can, of course, get modern emerald rings. These pieces tend to have clean cut stones and plain silver or gold bands. But older rings tend to be more unique. Go for a square shape surrounded by miniscule diamonds or a three-stone ring for something a little outside the box. If you’ve been given the chance to choose your own engagement ring, seize the opportunity and relish every moment! Try some rings and see how they look on your hands. 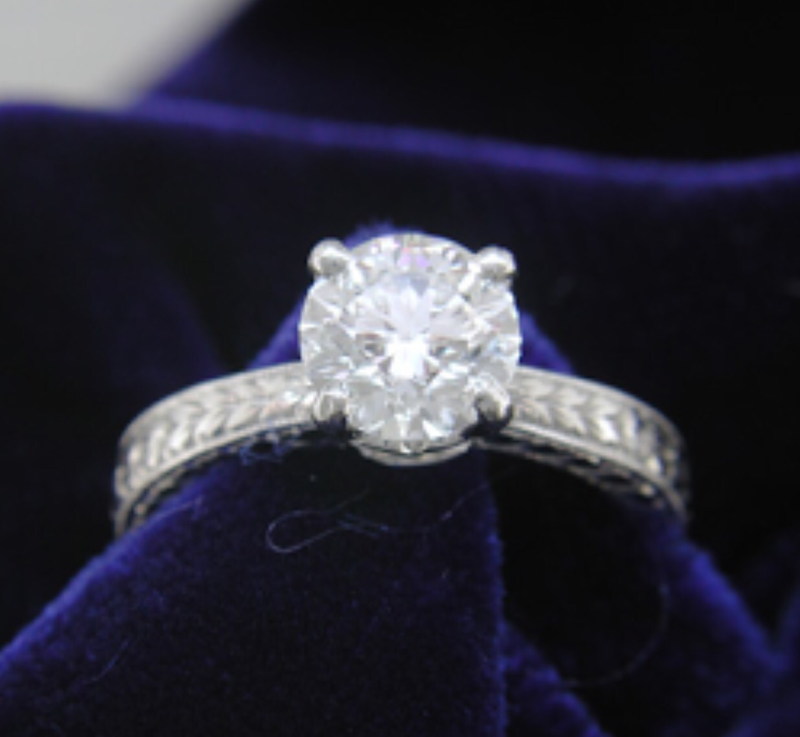 You may find that you’re drawn to a ring immediately and it’s love at first sight. Alternatively, it may take you some time to track down the perfect piece. Don’t rush or feel pressured to buy in a set timeframe. You’ll be wearing this ring for the rest of your life, so it’s essential to get it right.